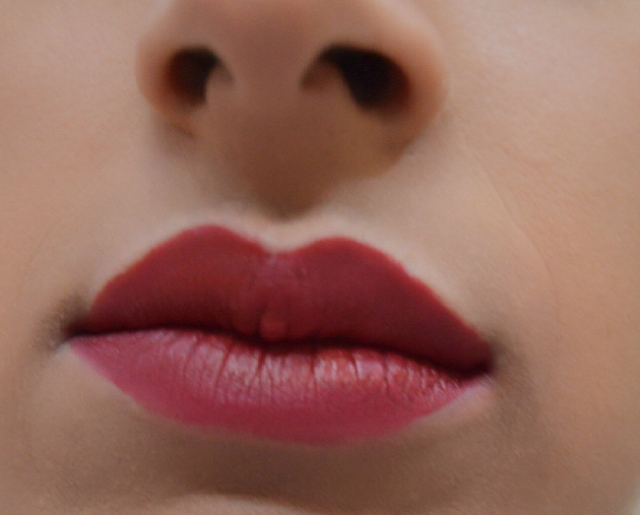 Finally, I am back with the review of Lipstick ... 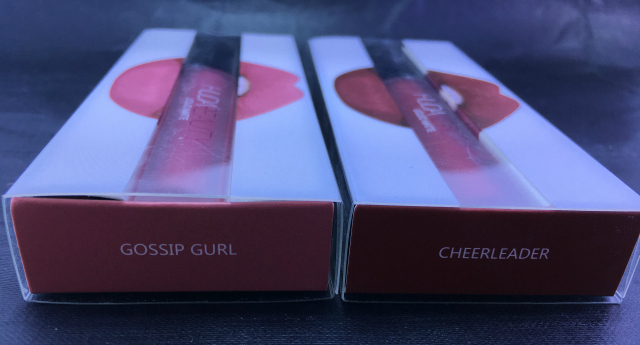 This product does not need any introduction ... so, I will keep my review short and Picture heavy .... its none other than "Liquid Matte by Huda Beauty" The shades I am gonna review today are "Cheer Leader" and "Gossip Girl"
The products comes in a very attractive and innovative packaging. The package looks like lips biting the liptstick. Interestingly the color of the lipstick is the same as the color of the lips on the package. The flips from where the products opens has the name of the color. 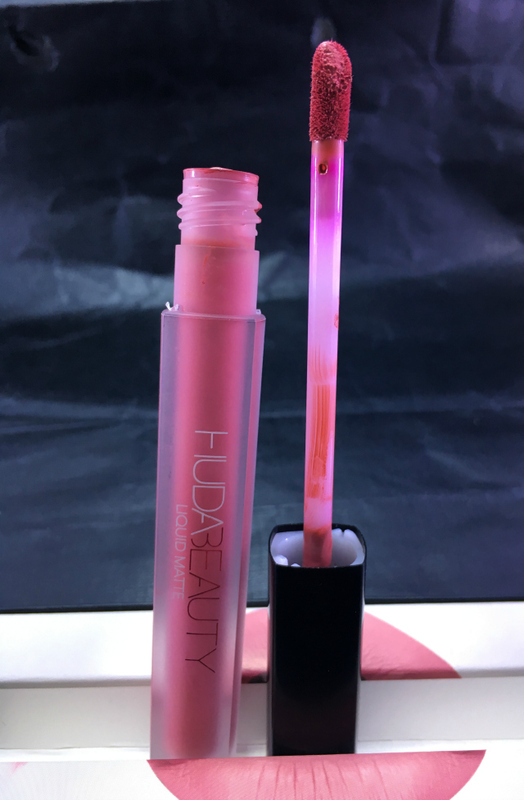 The packaging on other sides has the links to Huda’s social media and the brand name itself. The bottle itself looks like a frosted glass tube but actually it’s plastic and contains the product name on it. It’s a regular type of tube for this Matte Lipsticks and contains a Form applicator attached to the cap of the tube. One thing I noticed that, when you close the product tight, the cap and the bottle doesn’t aling itself very nicely and the edges of the square bottle are a little off from the edges of the cap. The formulation of the product is really nice and it has a thin mousey consistency to it and is very pigmented. Also it takes a little bit of time to dry and in my opininon it is a good thing because it allows you to work with it for a little while longer. 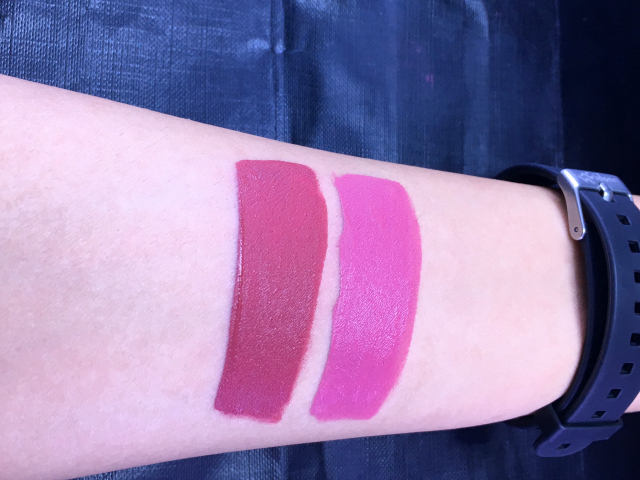 Also since it doesn’t dry very quickly, it has a little stickiness to it which you can feel when you press your lips together after application. 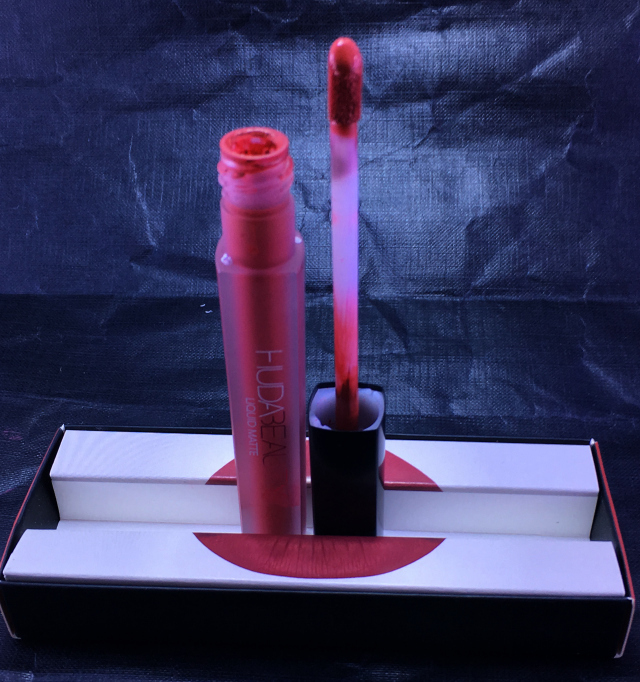 I also felt that the applicator has a lot of product on the top and specially I did not need so much to put on my lips and therefore had to put back a little back in the tube. 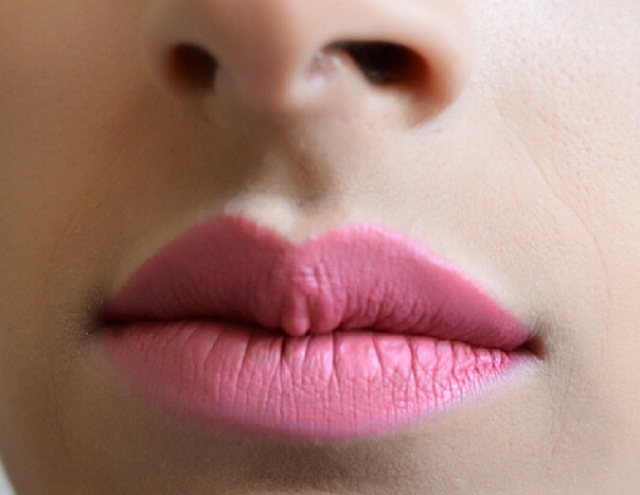 The lipstick claimed to be long lasting and maintains the hydration. It stands true to its claim some how. 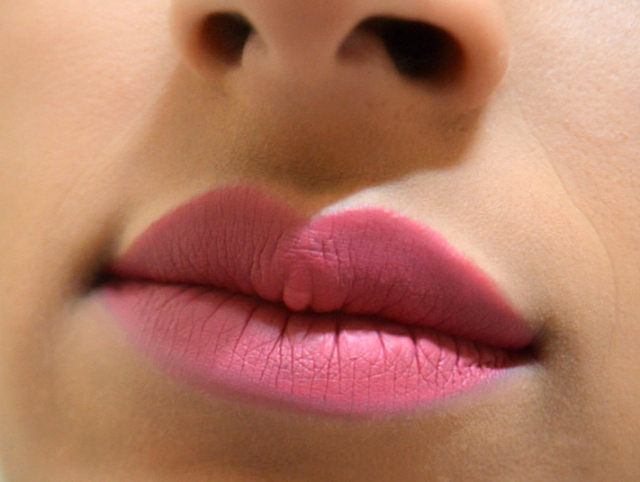 The formula is not hydrating but unlike many other matte lipsticks it doesnot makes ur lips dry atleast. Pigmentation wise its super pigmented and Literally one swatch is enough for full coverage. 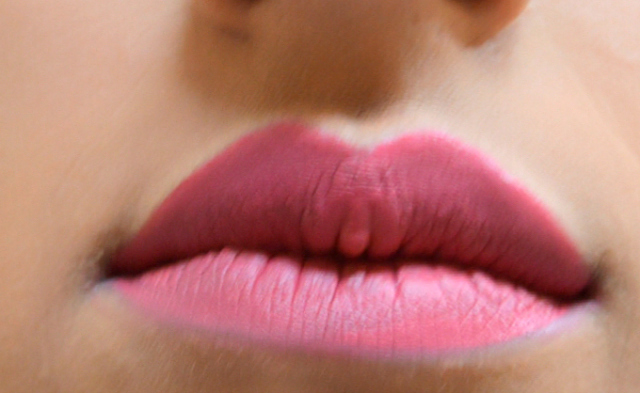 When I swatched or applied the product on my lips, I saw that the shade was a little bit darker upon drying. Though it may depend upon the color you are trying. Since It has a good coverage which ensures that you do not need a lot of product. For someone like me, Good Lipsticks with amazing scent is too-dye for thing. it has nice vanilla extract smell to it which I really liked.